Democratic Republic of Congo (DRC) President Joeseph Kabila refused to confirm he will step down as the country’s leader ahead of presidential elections scheduled for December. 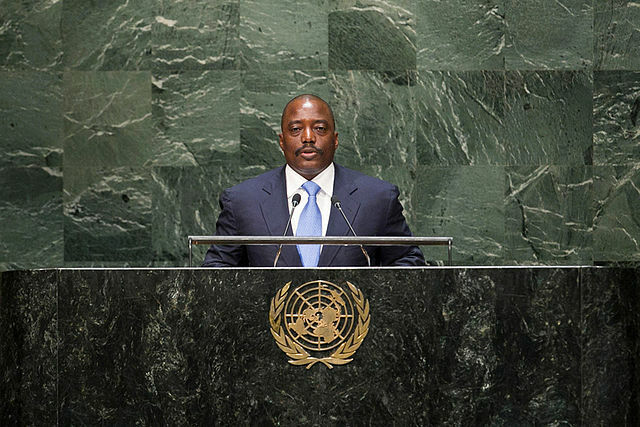 Kabila whose legal tenure of office expired in December 2016, avoided the topic of his extended presidency during his 40-minute address to lawmakers. Numerous top officials in the DRC have said that Kabila will step down ahead of the elections although critics remain sceptical about the president’s intent to relinquish power. Political observers expected Kabila to make a statement about his future and clarify his plans during the televised address, but the president avoided the topic entirely. Instead, he focused on issues like security, the economy, unemployment and development plans executed under his presidency. Kabila’s spokesperson Lambert Mende and Prime Minister Bruno Tshibala have both stated that Kabila has no intention of running for a third term in December and will step down once a successor is elected. However, opposition parties continue to suspect the president will seek a third term in power, despite the country’s constitution limiting presidents to a maximum of two terms in power. Kabila’s second term ended in December 2016 but the president has refused to step down until a new leader is elected. However, the country’s electoral commission has repeatedly postponed elections, citing a lack of security, credible voter registration and funds to hold an election.